Close your eyes and think of your travels. What hidden secrets have you uncovered in your own town? Have you explored the beauty throughout the United States? immersed yourself in local cultures? ﻿When you look back on your adventures, which paints the biggest smile on your face? Traveling gives me a rush of positive energy like no other. There's a feeling of "more to learn" with each trip and each flight. My eyes are opened to a bigger world—one that is far more complex and far more interdependent than I ever imagined. Now imagine that life lesson through the eyes of your students. 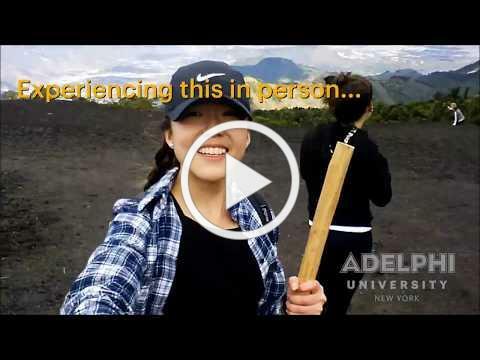 Adelphi is uniquely able to provide a rich travel experience to students: They can volunteer, study or even intern around the United States or around the globe. It's part of what makes Adelphi so special. As you read on, explore the life-changing opportunities our students are experiencing and consider this: Which of your students will be among the next to embark on these global adventures? Amy Lin , senior nursing student at Adelphi, took a faculty-led service-learning trip to Guatemala with 12 fellow students from other disciplines. Adelphi's partnership with Mayan Families, a local nonprofit organization that works to educate, feed, shelter and heal the impoverished populations of Lake Atit lán , enabled her group to participate in public health projects and other service efforts to improve the overall health and well-being of the community. She was the winner of Adelphi University's 2017 Study Abroad Photo Contest . Lin documented her experience and said that "No other class can teach me about the Guatemalan culture and their way of life on such an intimate level. Yes, we do learn about how developing countries live and function from books and documentaries, but experiencing this type of lifestyle in person creates a whole new outlook and respect for the dedication and drive that these people have to survive. This has been an unforgettable experience ." Study Abroad. Intern Abroad. Volunteer Abroad. Clockwise from top left: Study abroad in Alaska; study art in Florence, Italy; experience multimedia journalism in Cuba; take a nursing service-learning trip to Costa Rica. Our students choose from over 100 study abroad programs in any corner of the globe and earn academic credit that counts toward their major and elective requirements. 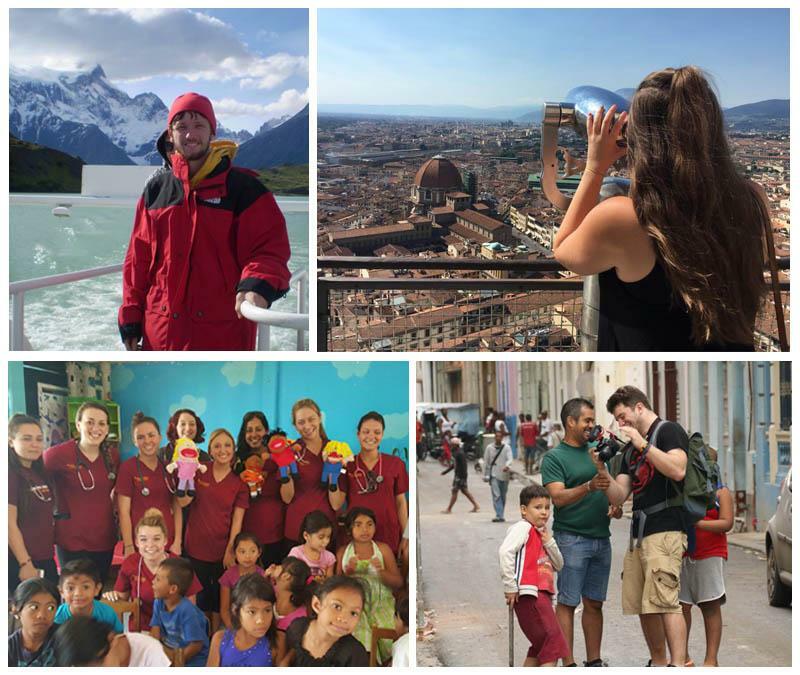 Last year, 133 full-time undergraduate Adelphi students from various disciplines studied, interned and volunteered abroad during January In tersession, sprin g break and summer in places like Australia, India, Kosovo, Cuba, Guatemala and London. Our Center for International Education (CIE), in partnership with international organizations, offers an array of programs for all majors. Where Will Your Students Go? Visit adelphi.edu/studyabroad to find out more about our programs. 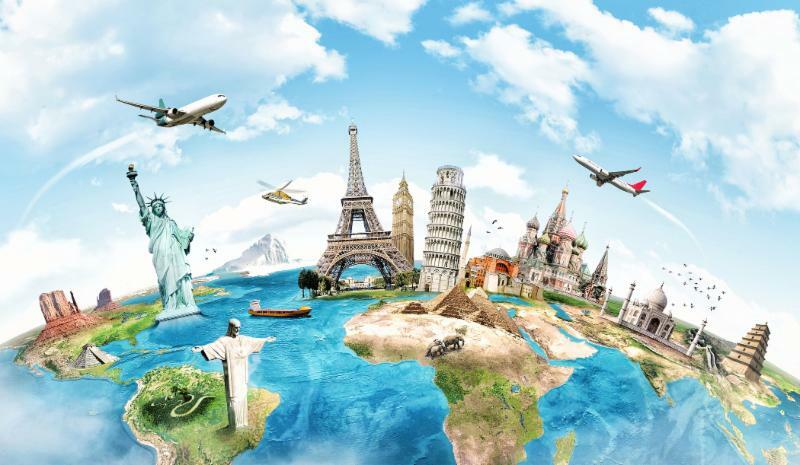 A global adventure awaits your students! Our faculty-led field-based study programs provide students with unique opportunities to go beyond the classroom to experiences that are sometimes unprecedented and often newsworthy. 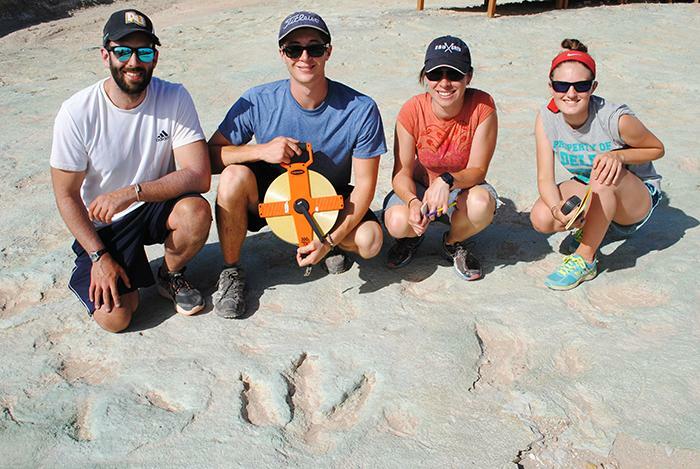 In August, junior biology and anthropology major ReginaLena McManus joined Assistant Professor Michael D'Emic, Ph.D. , on his dino dig in Utah through Adelphi's field study program . The real thrill was discovering dinosaur tracks made millions of years ago, but McManus also gained invaluable paleontological skills like surveying, mapping and geological observation. 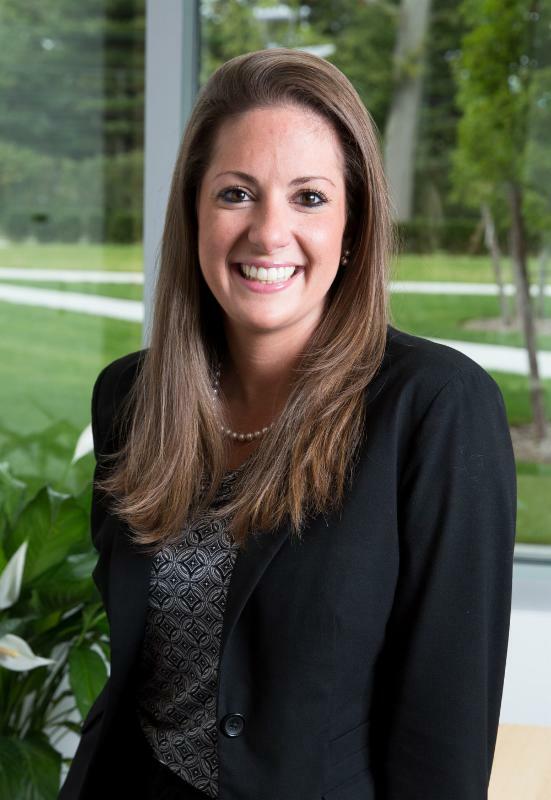 She said this type of fieldwork "gives students the opportunity to truly observe, experience and apply the information they are learning." Undergraduates with no previous archaeological experience can work alongside Associate Professor Brian Wygal, Ph.D. , and Assistant Professor Kathryn Krasinski, Ph.D. , on their field research trip to the Alaska Field School. During one recent archaeological excavation in Alaska, Dr. Wygal and Dr. Krasinski unearthed a 14,000-year-old mammoth tusk and brought back the largest collection of items they've ever recovered in one trip, including some fascinating ivory artifacts. Join us in April for one of our upcoming guest performances at the Adelphi University Performing Arts Center on our Garden City campus. Email kristen@adelphi.edu to arrange for tickets. "An Evening of Entrepreneurial Spirit, Social Responsibility and Radical Business Philosophy"
Join Ben Cohen and Jerry Greenfield of Ben & Jerry's Homemade, Inc., ice cream, 7:00 p.m. to 8:30 p.m. on Tuesday, April 10, at the Adelphi University Performing Arts Center, Concert Hall, followed by a complimentary Ben & Jerry's ice cream reception. Email kristen@adelphi.edu for tickets. 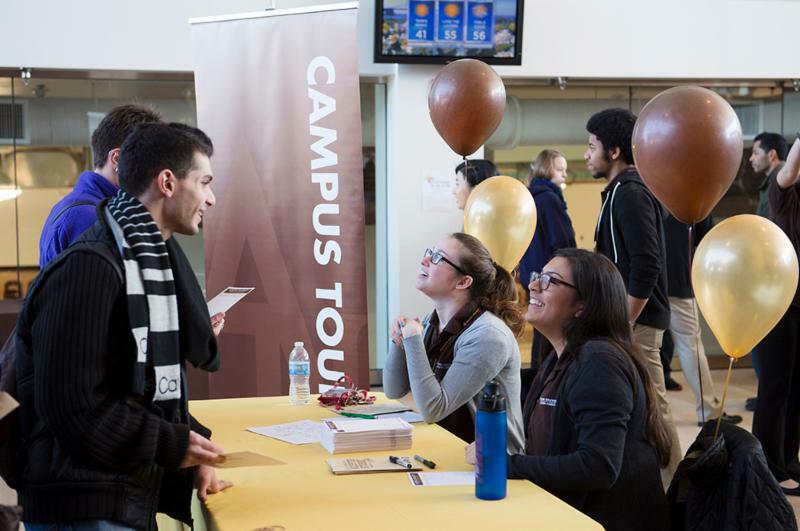 Adelphi University is a recognized leader in the nation for transfer student success. We have been named to Phi Theta Kappa's 2018 Transfer Honor Roll for ease of transfer. 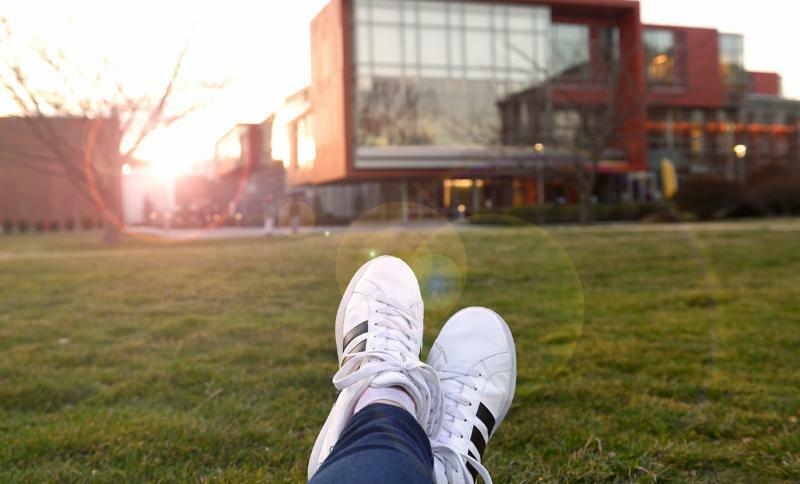 Students can email transfer@adelphi.edu to set up a personalized counseling visit today.